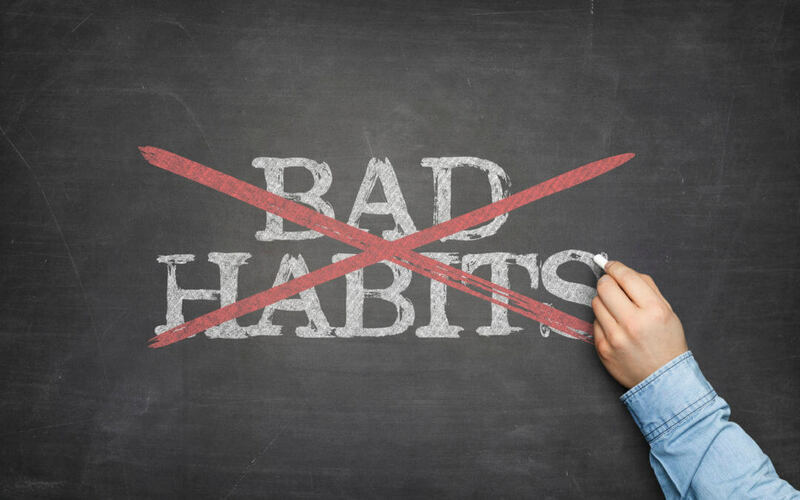 Forming habits can occur naturally, though habits can be encouraged and adapted with the right mentality. Just as you can work to create a habit, like exercising regularly, you can do things to break habits if you want or need to. For parents, getting their children to break bad habits can be difficult, especially since many habits kids have are related to their age and getting older. Things like pacifier usage, nose picking, thumb sucking and more can be detrimental to kids’ development and may lead to problems that can actually pose health risks and other side effects. Here are some ways parents can deal with helping their kids break habits in a healthy way. A simple way to help a child lose focus of a bad habit is ignoring it. This is often good as a first tactic, and other methods can be considered if this does not work. You don’t want to ignore something if it remains to be a problem. In some cases, bad habits draw attention and this attention drives kids to do the thing you’re asking them not to even more. In some cases, paying a lot of attention to a bad habit and punishing them for it can have a negative outcome. When considering whether your child should break a habit or is old enough to, especially when it comes to things like thumb sucking, try to avoid paying attention to the habit and let your kid outgrow the habit on their own with time. If they don’t, then you can consider other options. Giving kids positive attention for behaviors you want to encourage can go a long way, and rewarding non-behaviors can work too. If you notice that your child has not given in to their habit in a while, try congratulating them and let them know that they are doing a good job. Even if it is something they have grown out of and may not have actively tried to stop doing, it can encourage them to further avoid that bad habit in the future. Simply telling kids “No,” is not often helpful so explaining why a habit is bad for them can do some good. Explain how thumb or pacifier can lead to problems with their teeth and extra trips to the dentist, etc. In this technological world we live in if technology is what grabs their attention, then show them videos on what problems the habit may cause can also help reinforce what you are saying. For example, see our video below on thumb sucking that can be shared with your children. If your child has several bad habits, try to focus on tackling each one before moving onto another. Focusing on several issues at once can be confusing for a kid, as well as stressful, especially if habits like thumb sucking are involved since habits like these are performed because of their soothing or comforting nature. Taking a lot away at once can be challenging and only make matters worse, as well as more difficult down the road. Social interactions with other kids may also help children to break habits. If they are around other children who do not have the same habits kids will point it out and let each other know for example “Why are you doing that? Or you always do that!” This makes children more motivated to distract themselves or use an alternative. Breaking habits takes time, just as it does to form habits. But while you’re being patient, remember to provide your child with love and support. Let them know that breaking these habits will be good for them in the long run. Habits are sometimes performed on an unconscious level, so being understanding is key to your peace of mind as well as your child’s.